Elon Musk’s world-changing ideas can sometimes sound like science fiction or the stuff of dreams, one of the most recent being his plan to tunnel beneath cities and create ultrafast networks for cars to zip across town. After revealing his idea half a year ago, he set up the Boring Company to get to work in Los Angeles. And over the weekend, Musk shared a photo of the firm’s initial progress (above): a 500-ft long tunnel, complete with a track for vehicles, and finished surfaces. 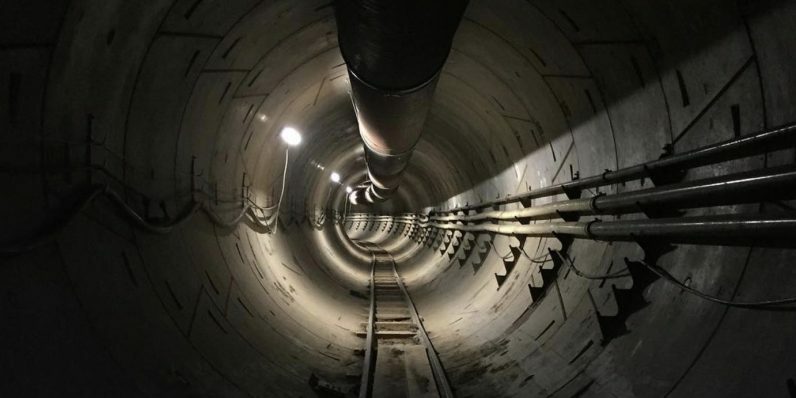 This is just the beginning: Musk noted that the tunnel will eventually reach a length of two miles in three to four months; the goal is to build a tunnel that stretches “the whole 405 N-S corridor from LAX to the 101” in about a year. According to Electrek, that means that the Boring Company would have to cover a few more miles west to reach the 405 interstate and the Los Angeles international airport, and then at least a dozen more miles to reach the 101 highway. If it’s successful, the company will have a huge win on its hands, as it’s never easy securing the necessary permits and clearing regulations to build such infrastructure anywhere in the world as a private firm. But even after that, it’ll have to prove that it can safely send cars and people-pods hurtling through these tunnels at 240 kmph (150mph) to beat traffic. And with that, Musk’s new baby is quickly becoming his most interesting business to watch.